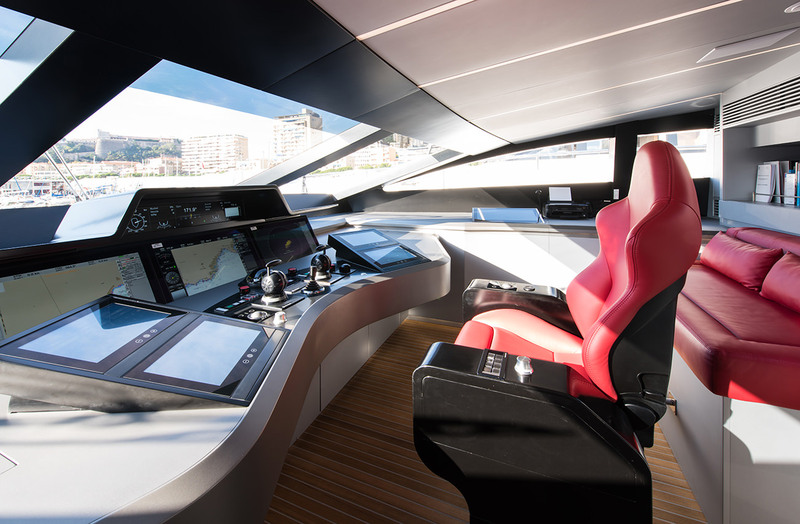 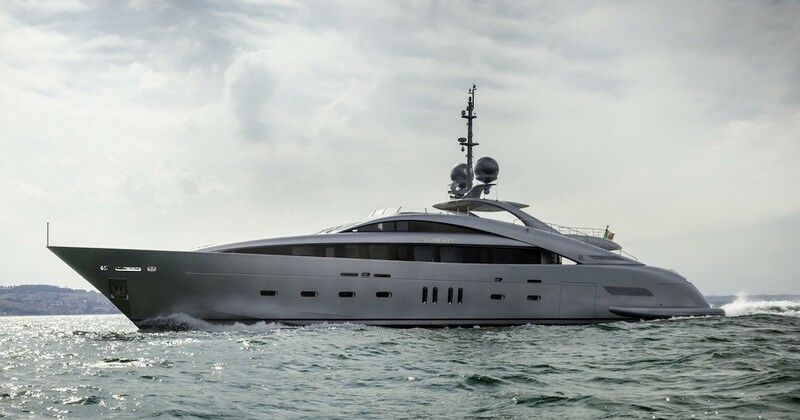 Combining very high performance with low consumption, the 44-meter motor yacht Silver Wind (hull 140.1) is a ground-breaking hybrid composite vessel, built by the well known Italian shipyard in 2014, ISA - International Shipyards Ancona. 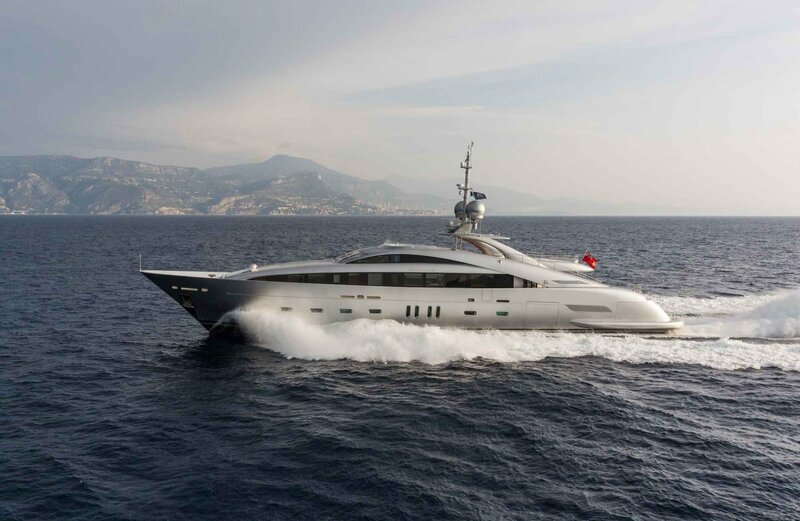 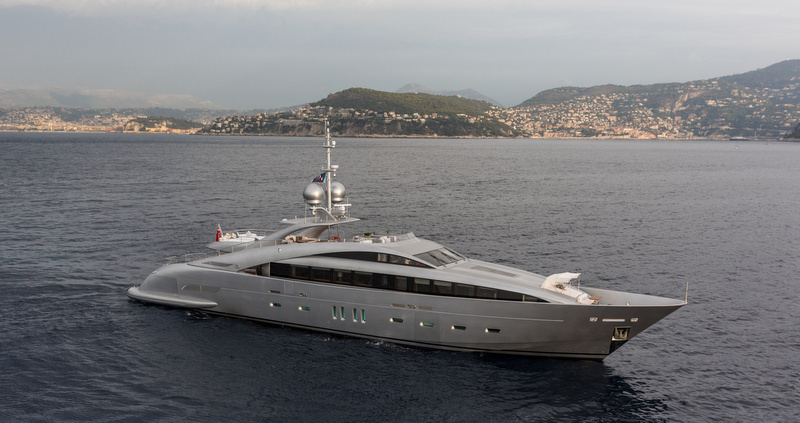 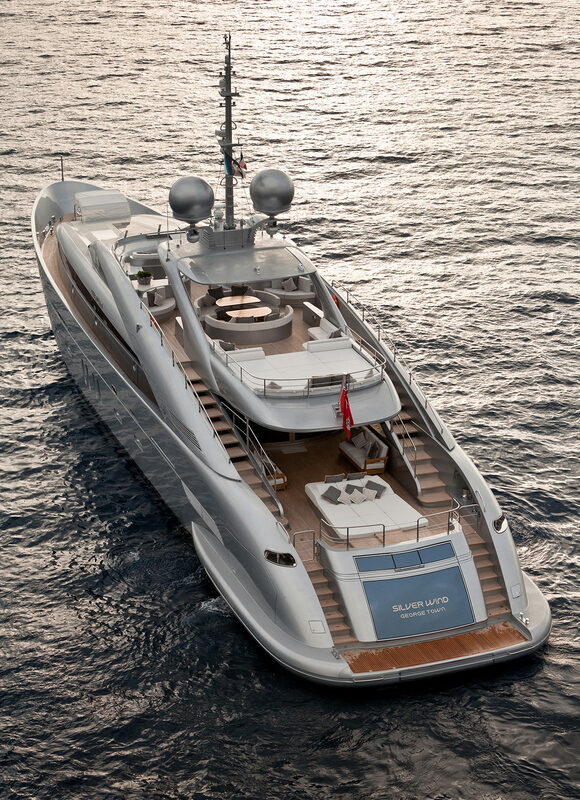 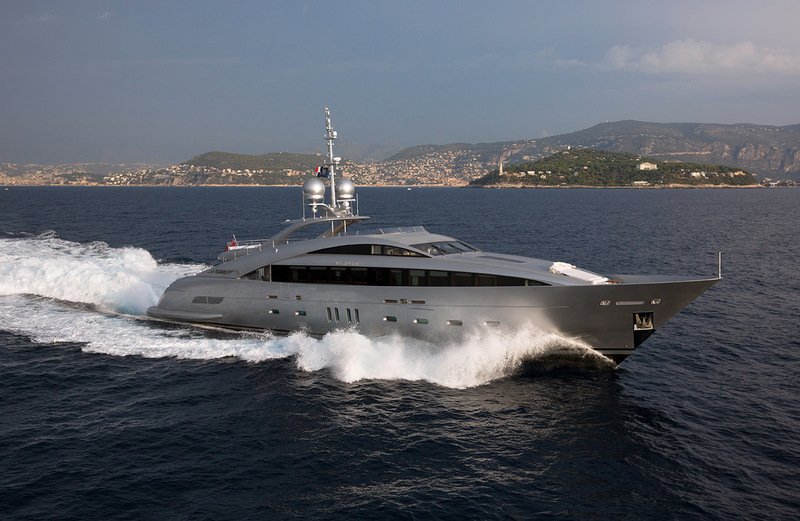 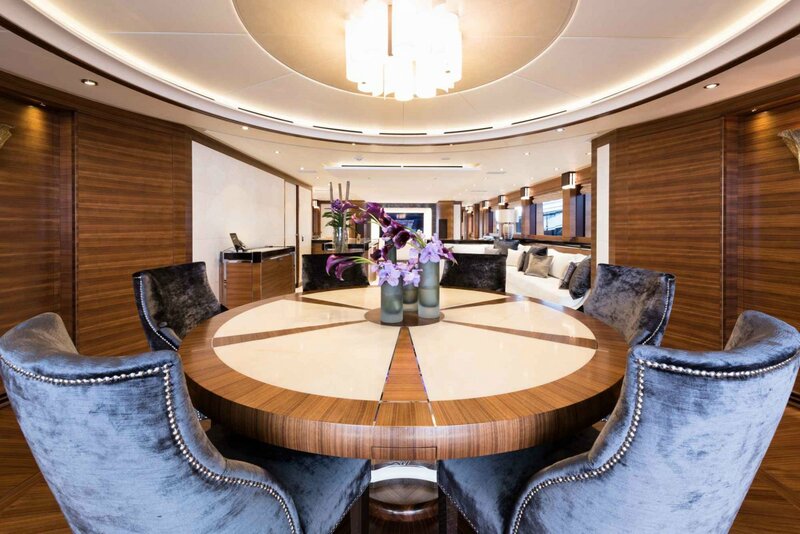 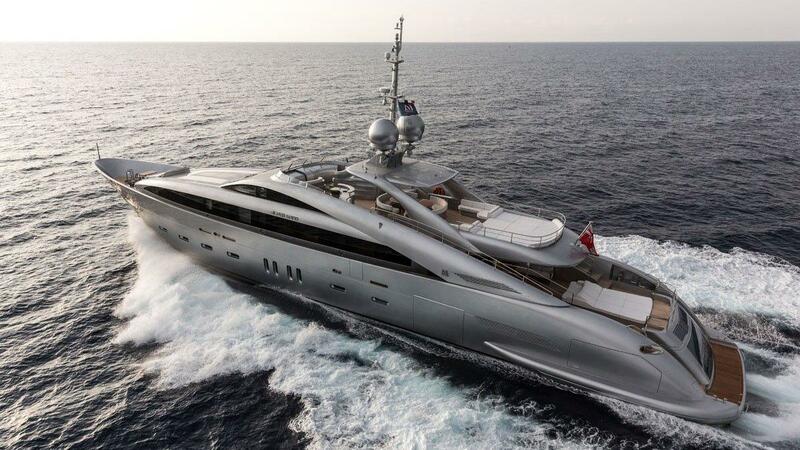 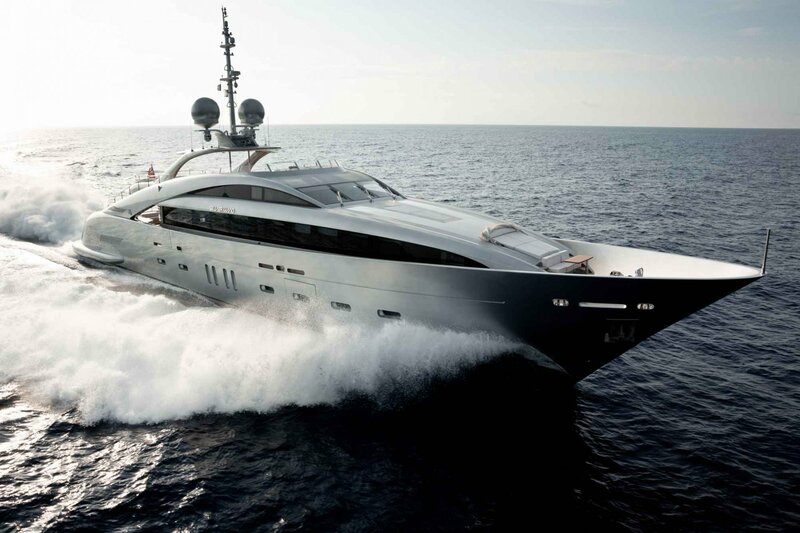 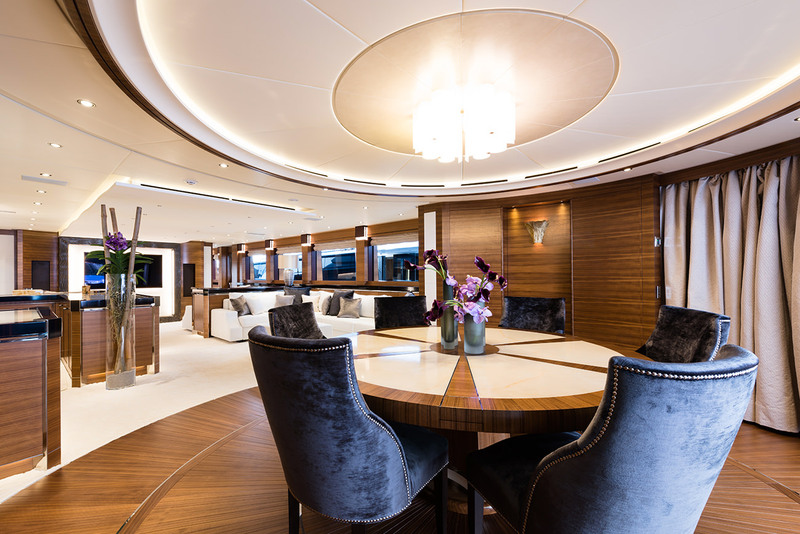 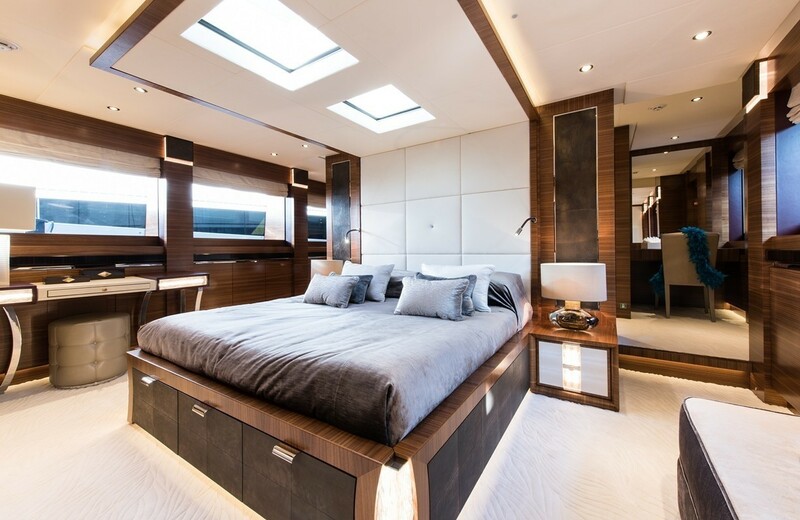 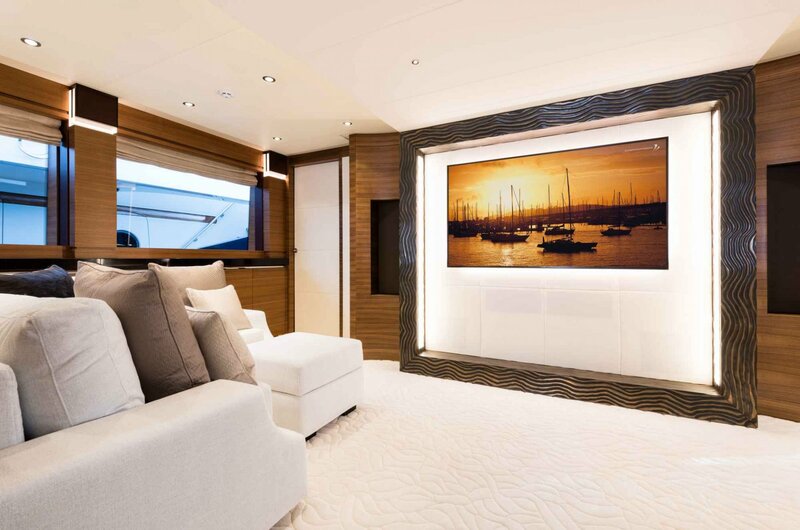 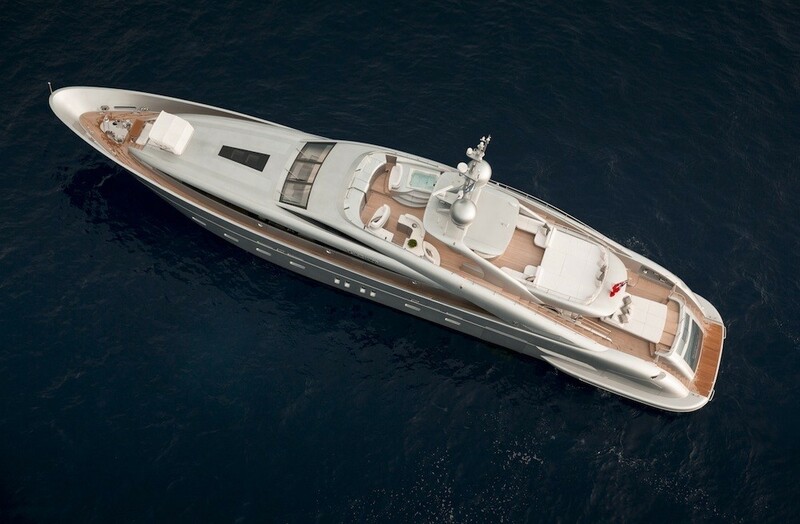 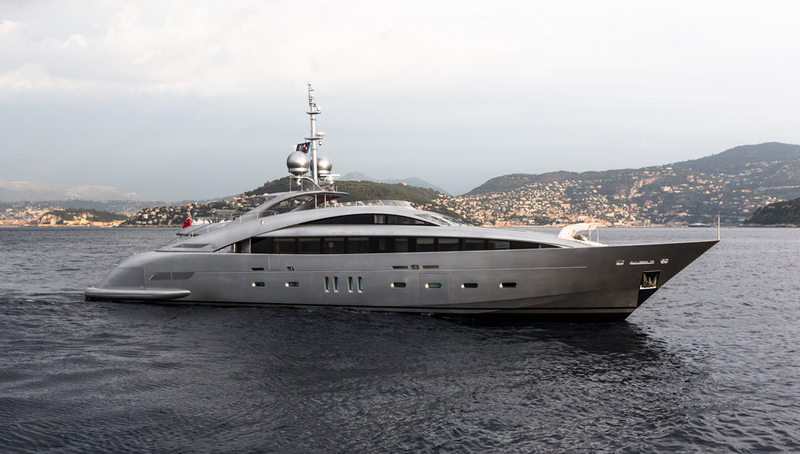 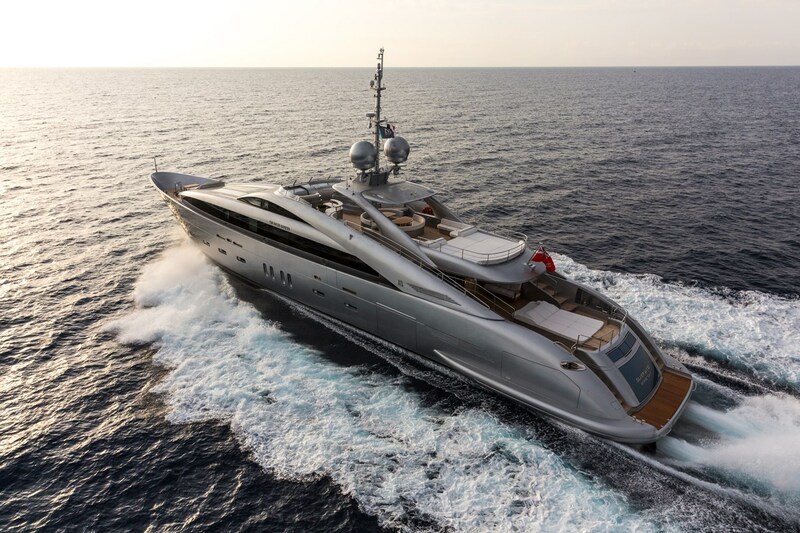 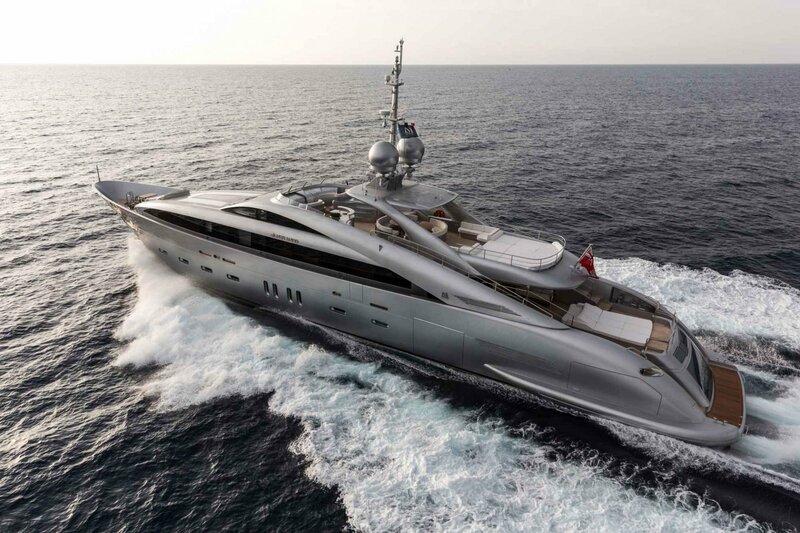 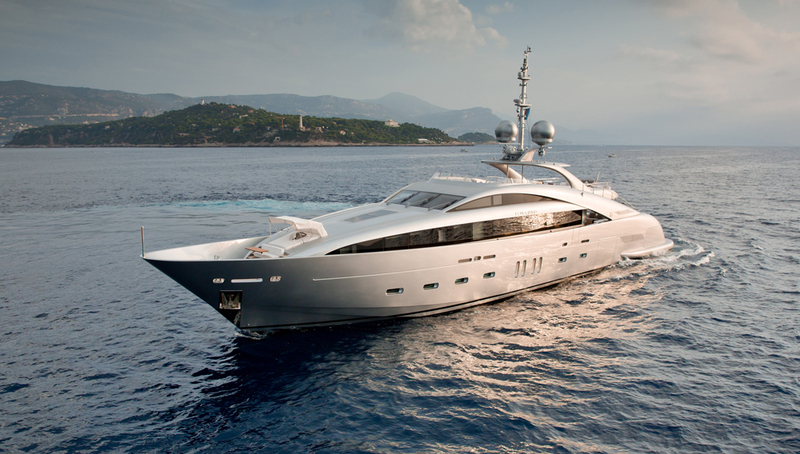 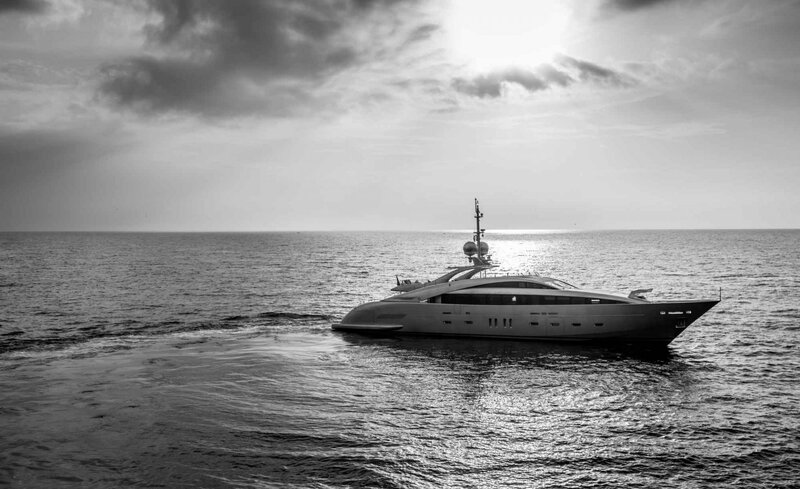 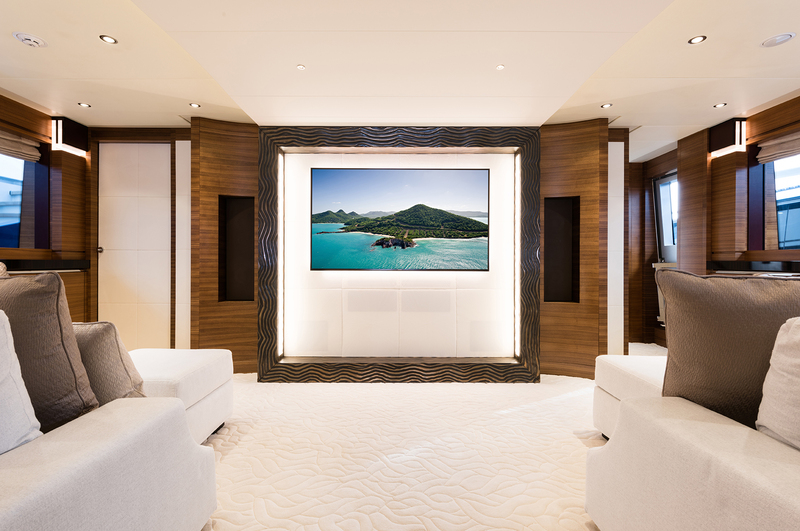 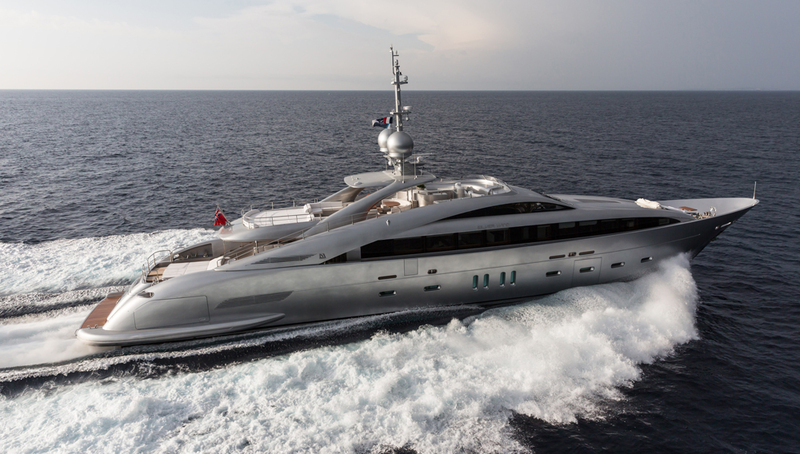 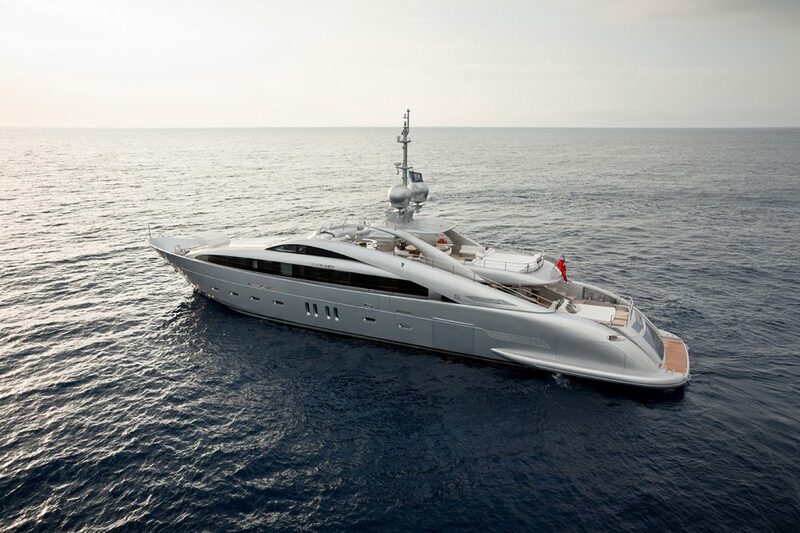 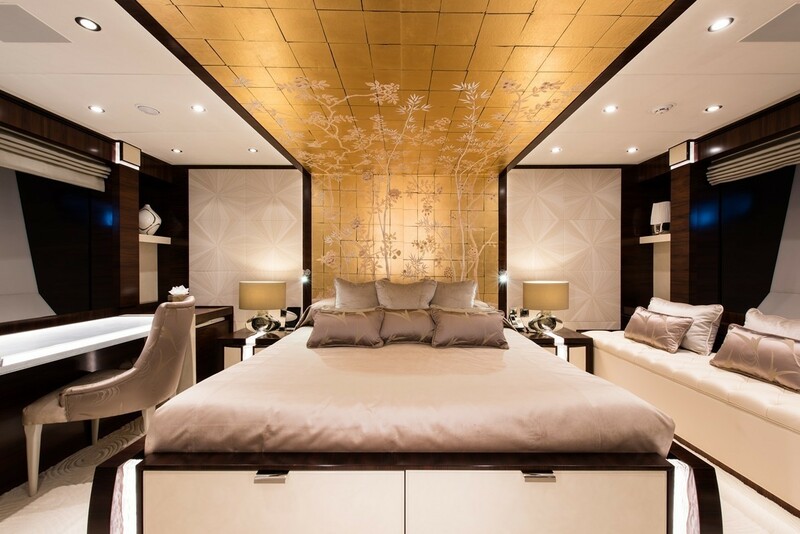 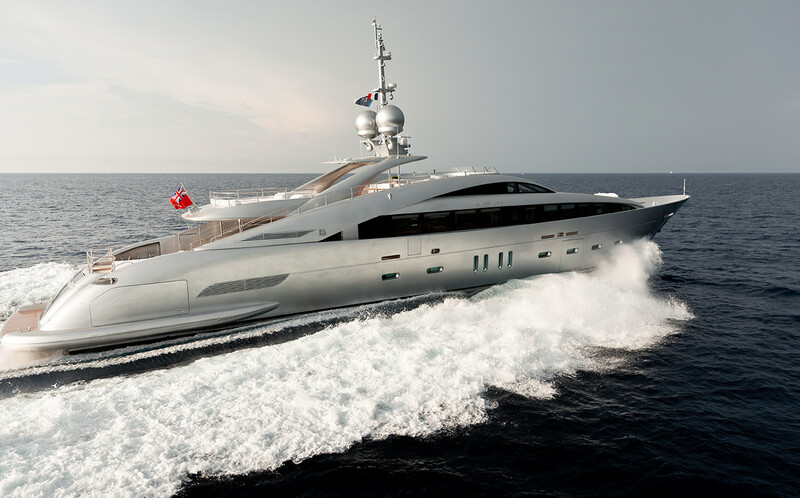 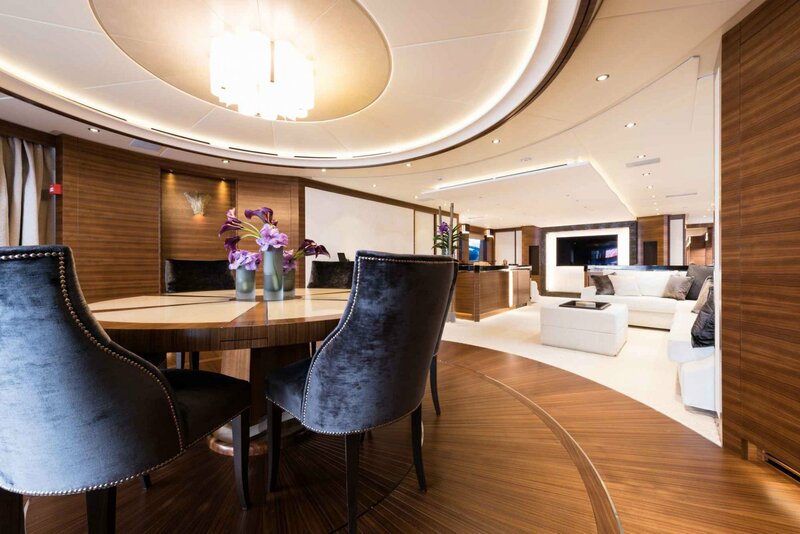 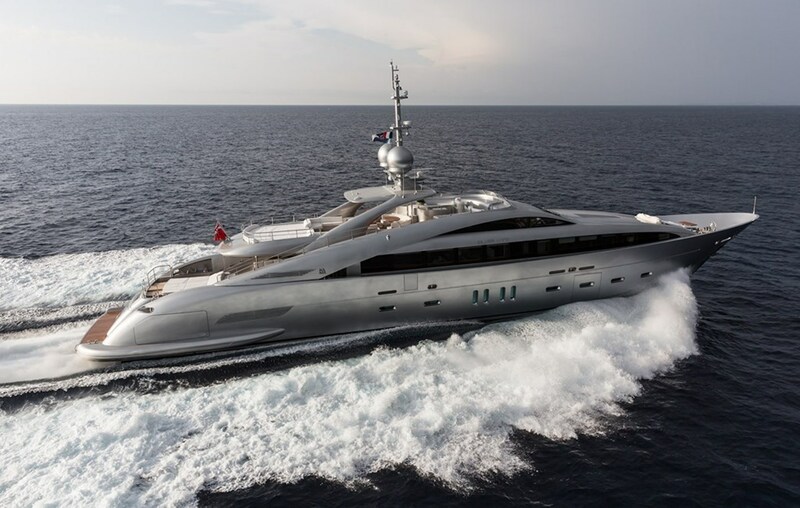 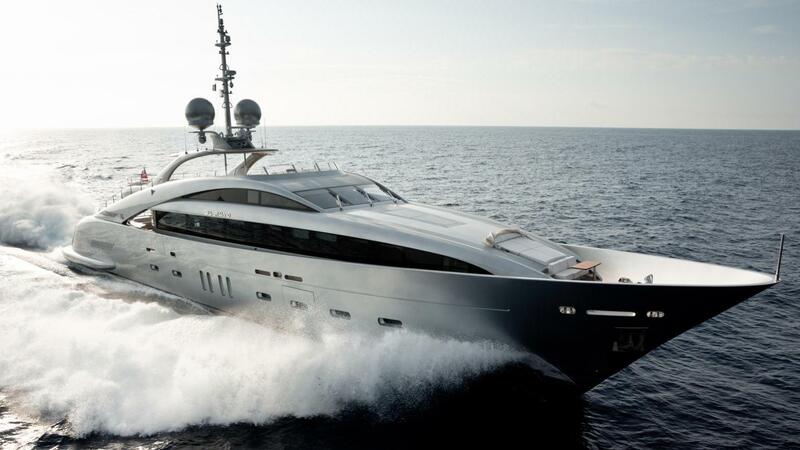 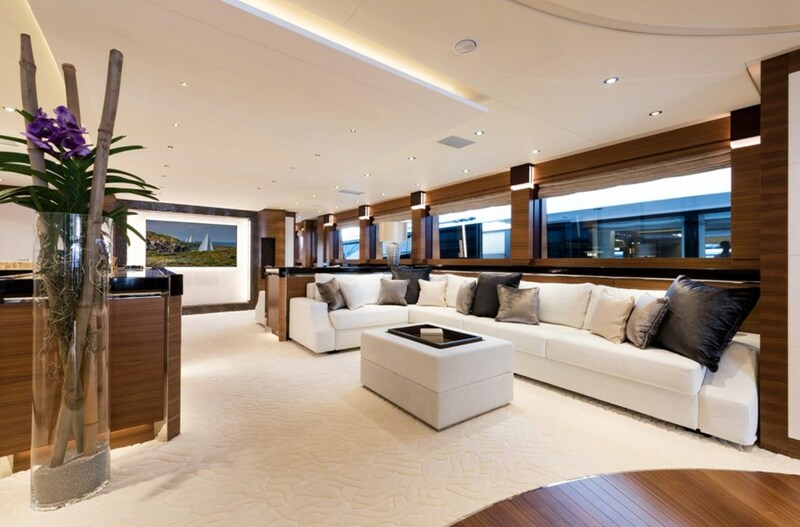 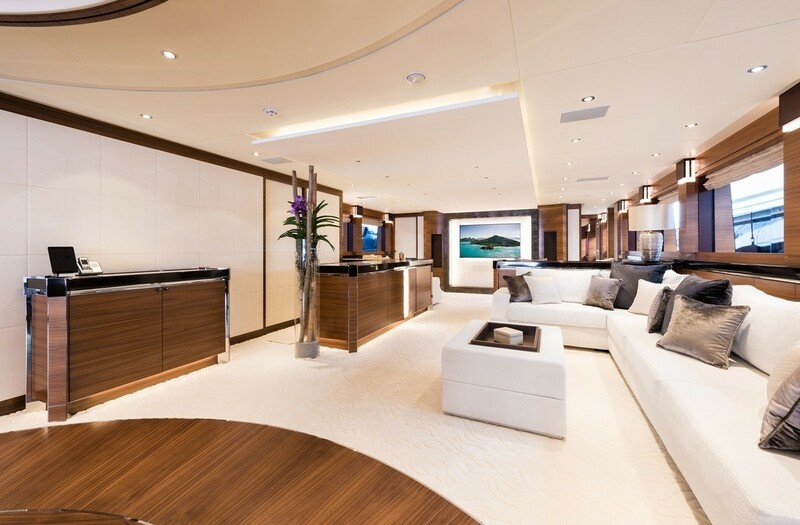 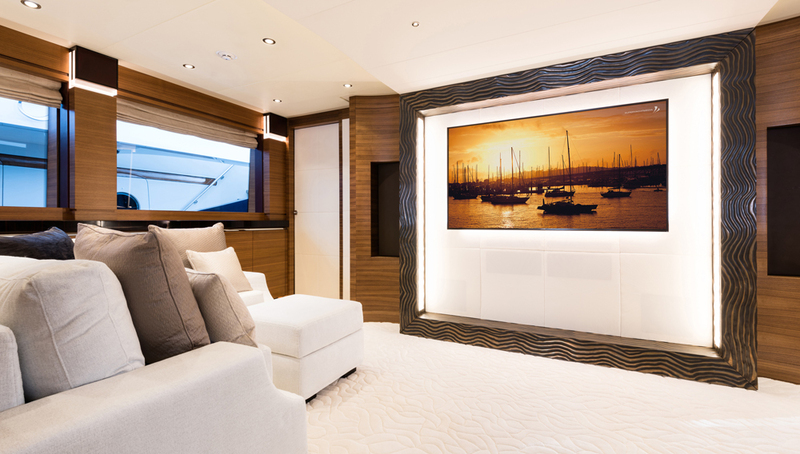 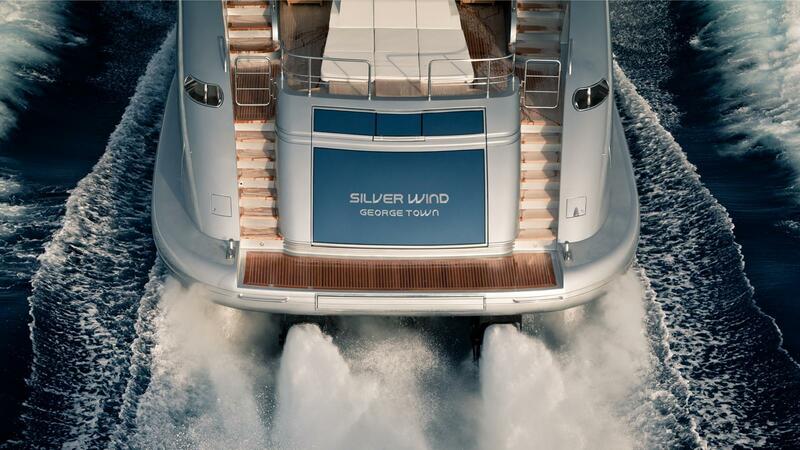 Superyacht Silver Wind features exterior design by Andrew Vallicelli and interior design by Nuvolari Lenard. 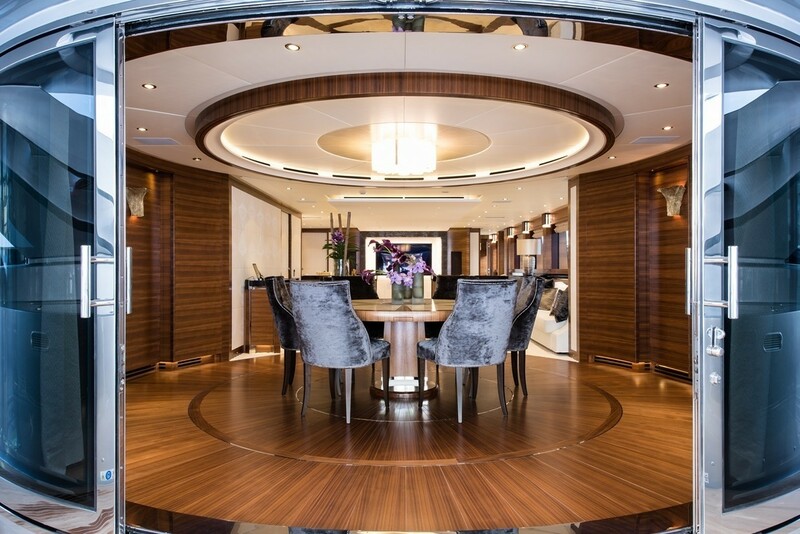 The interior decor is by Nuvolari & Lenard. 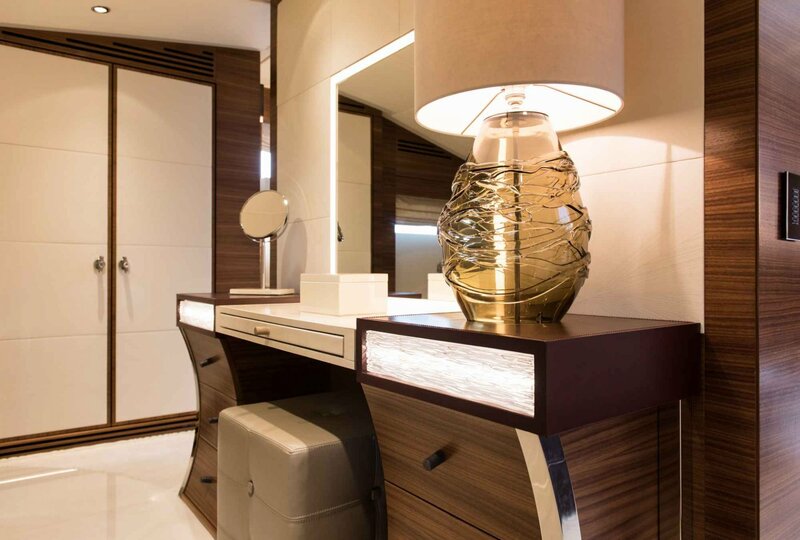 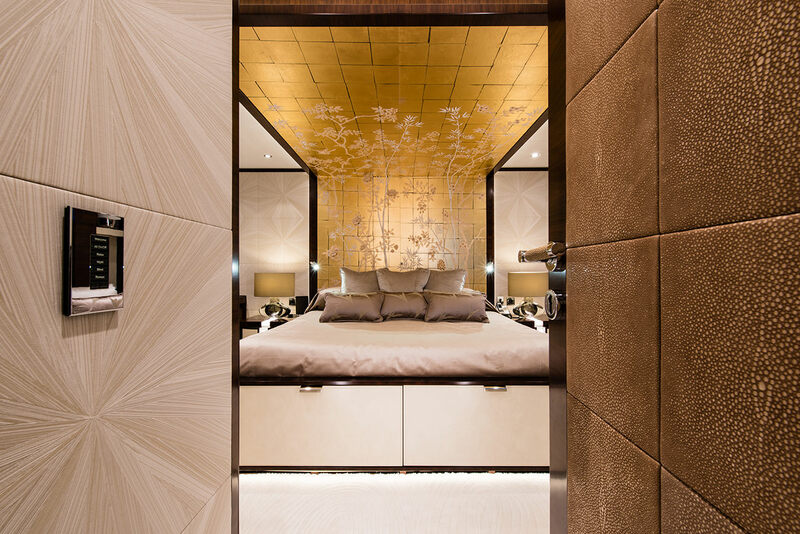 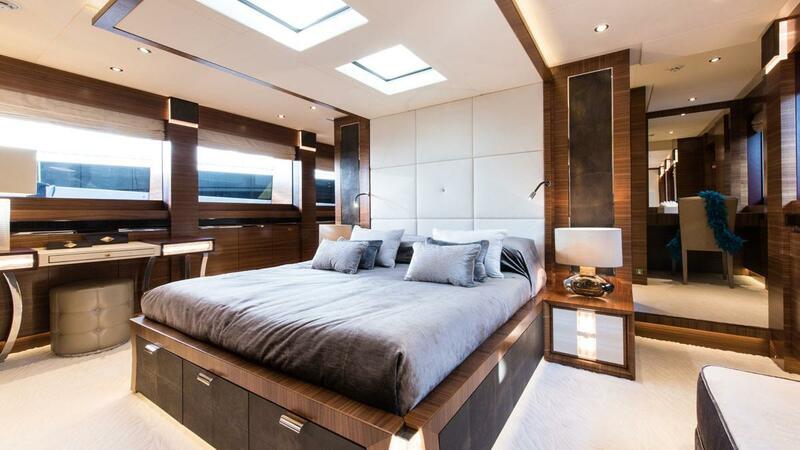 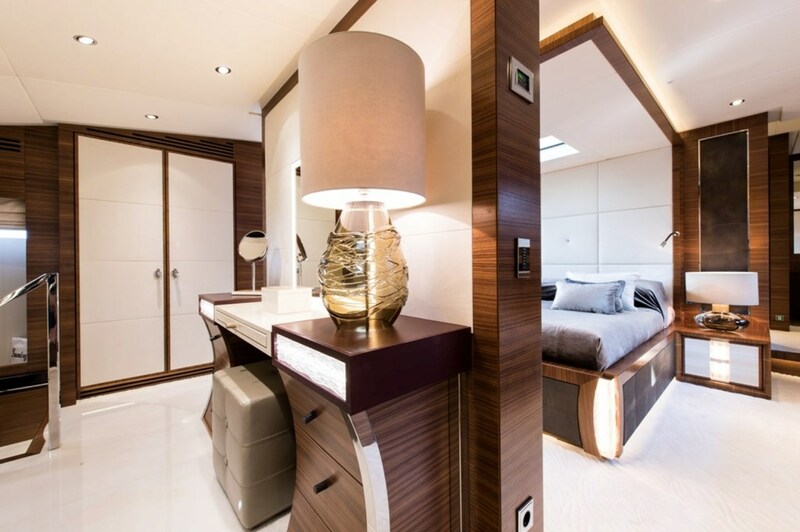 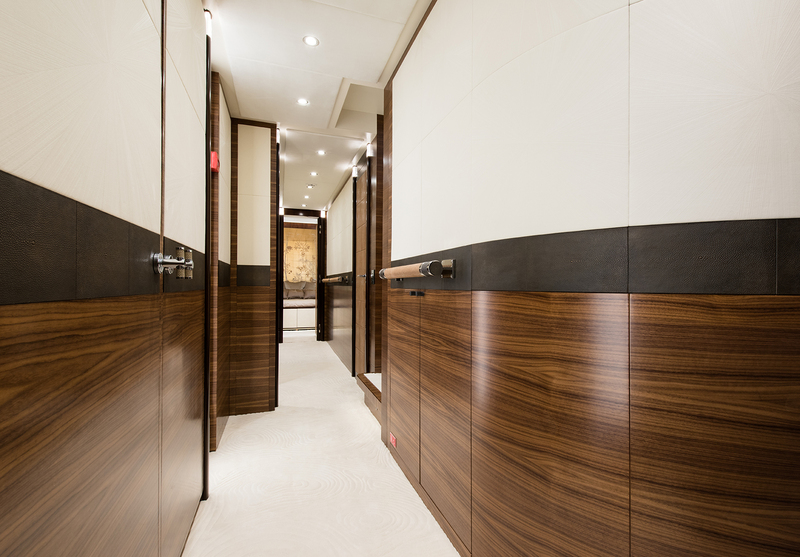 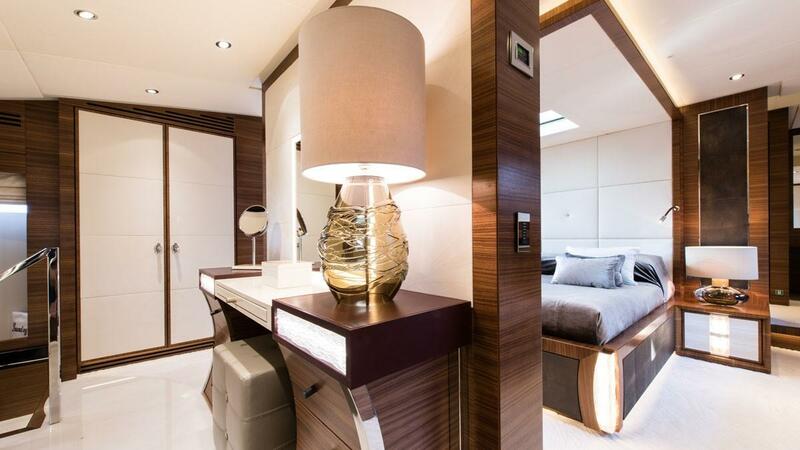 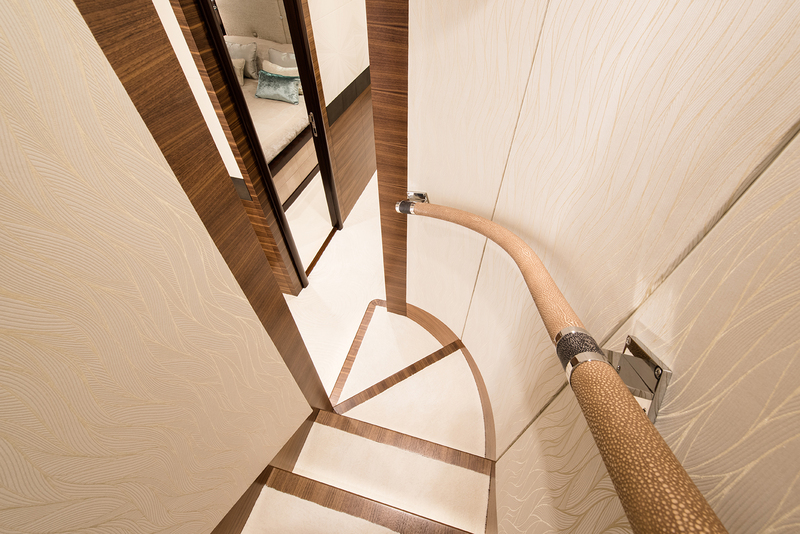 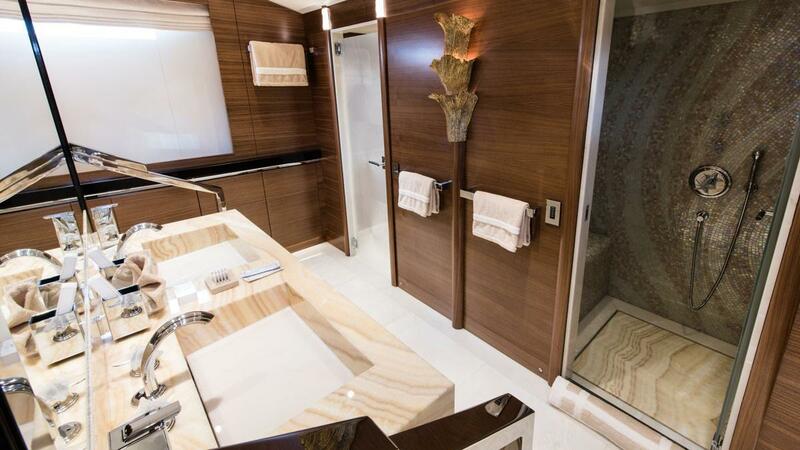 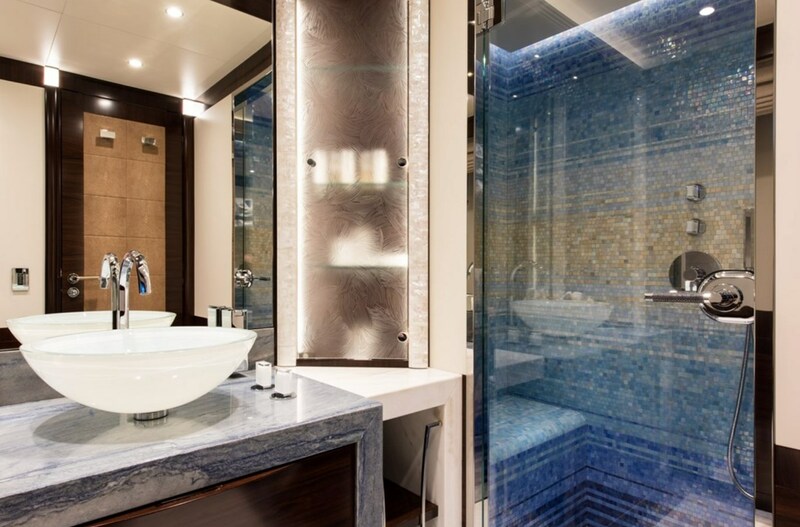 It features with some lavish materials, such as Hermes silk, high gloss ebony, walnut. 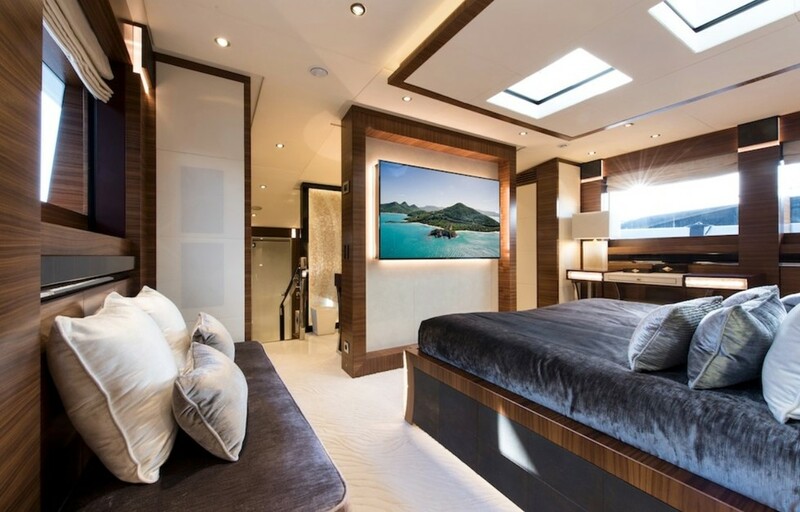 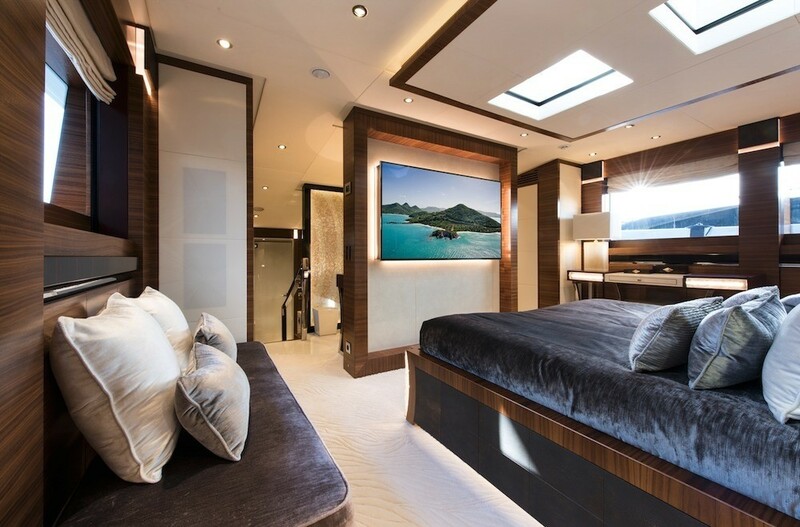 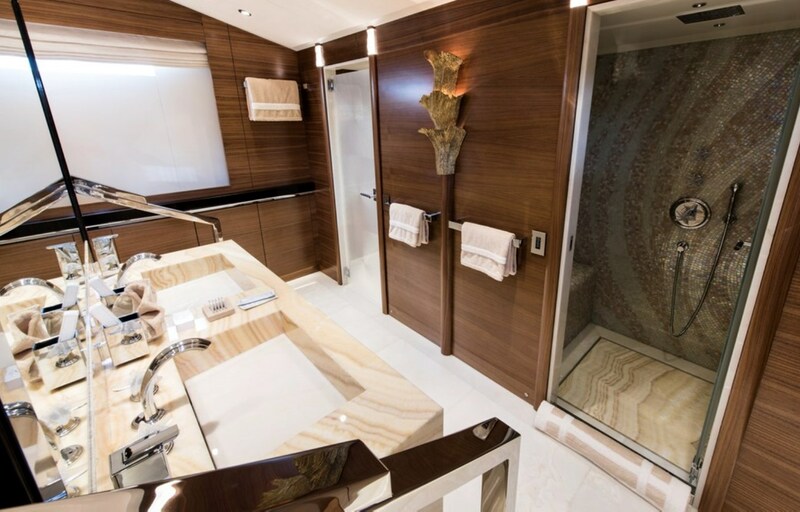 This motor yacht provides extensive outdoor spaces, a huge sundeck, as well as a cozy beach area, with a generous swimming platform. 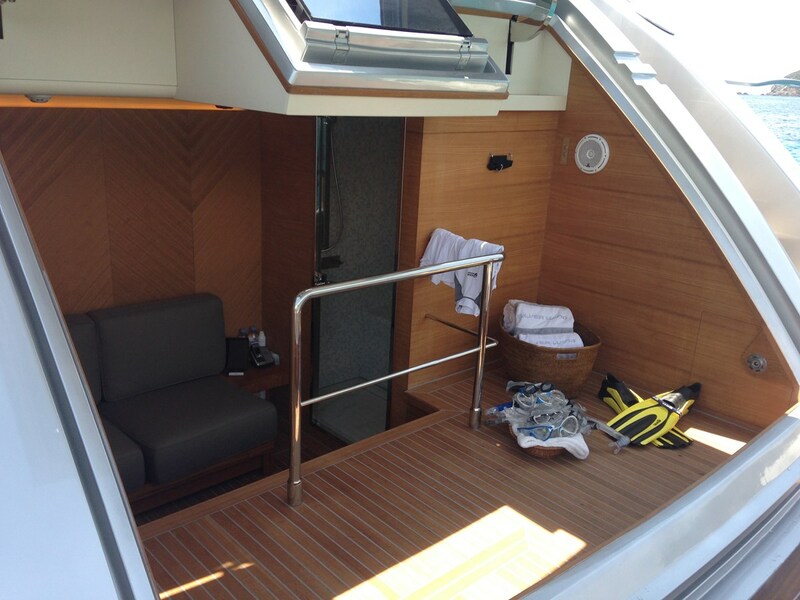 Guests can relax on the vast sun pads or have a drink at the bar and enjoy dining alfresco. 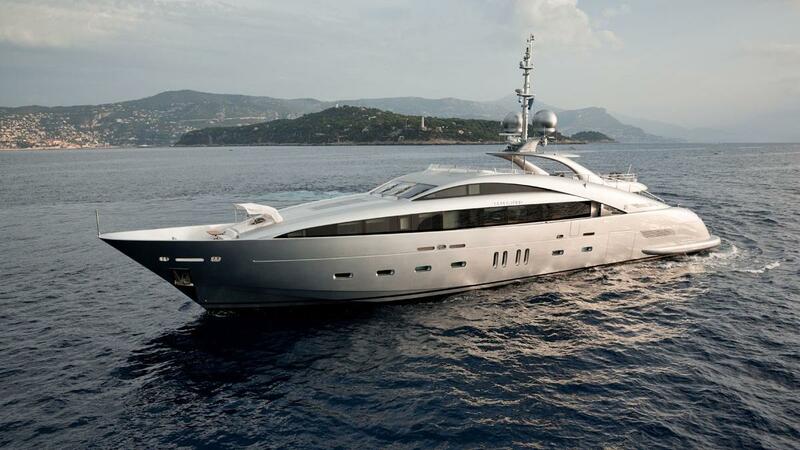 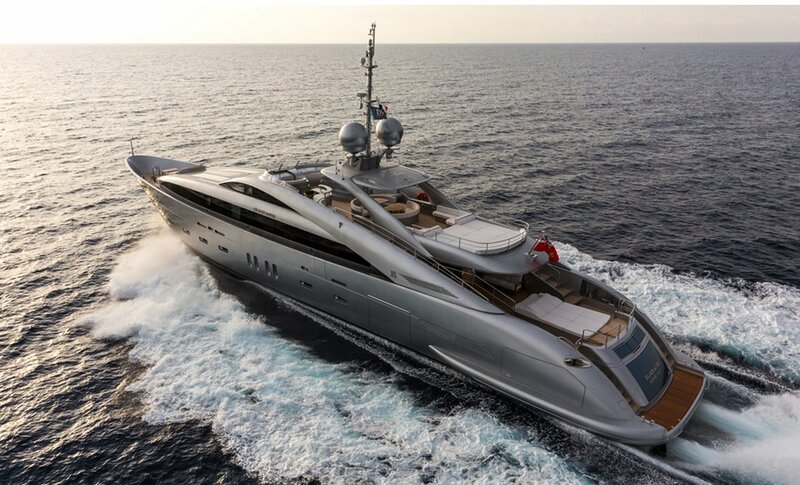 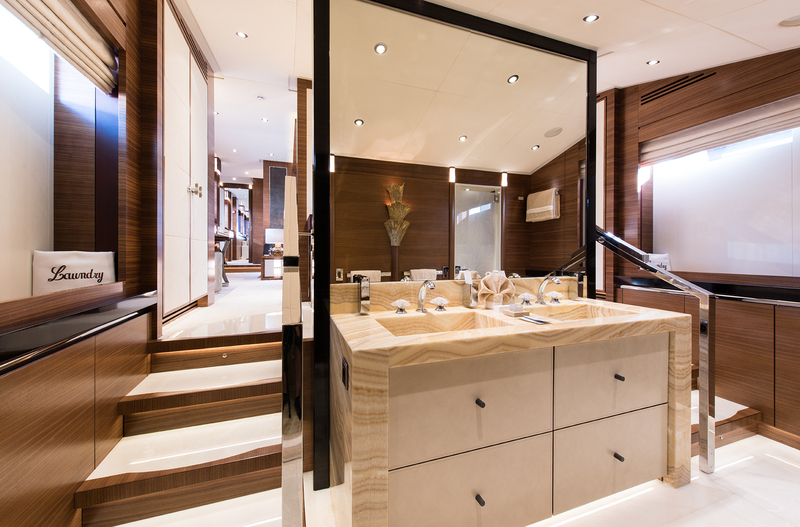 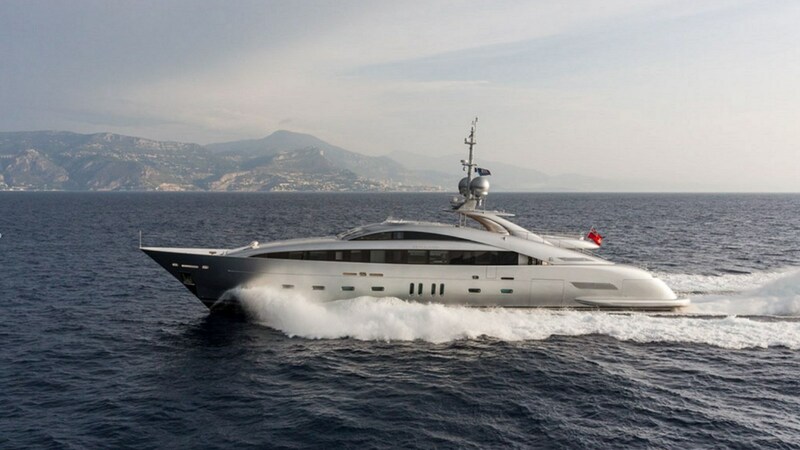 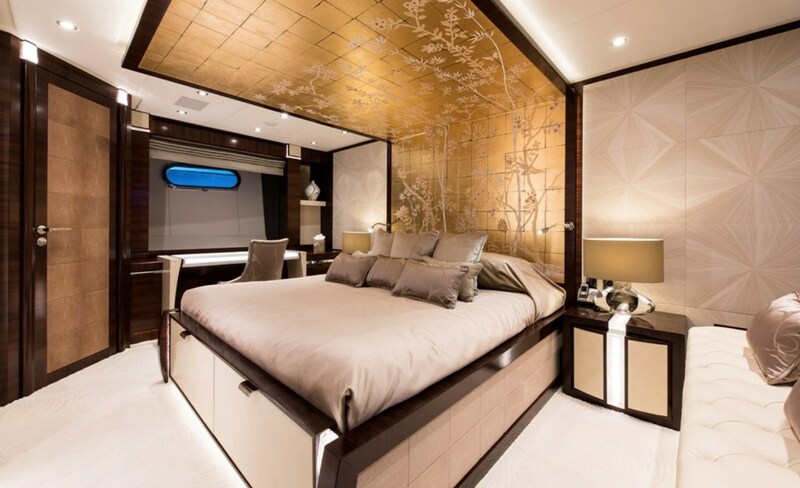 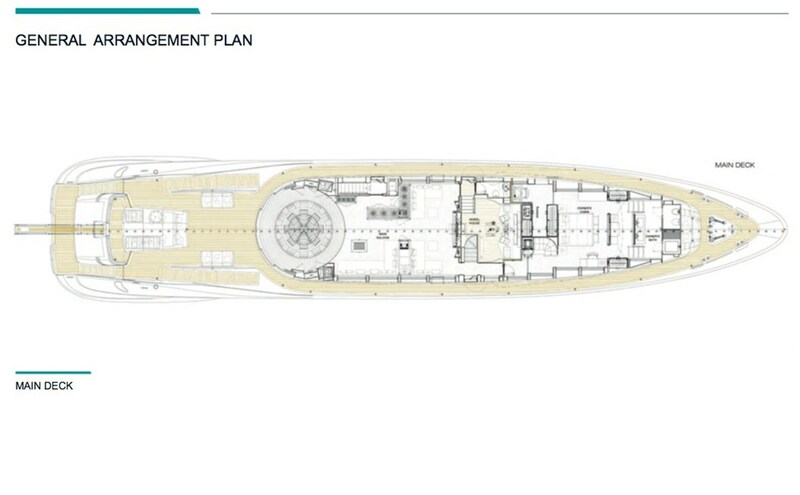 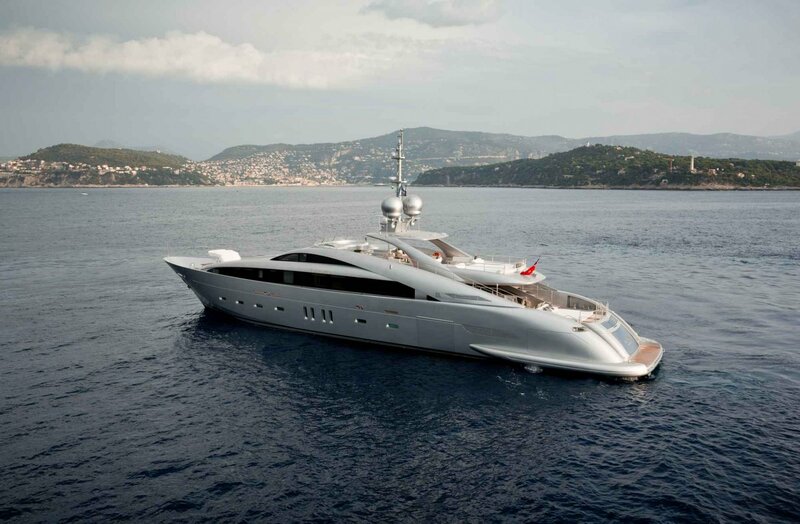 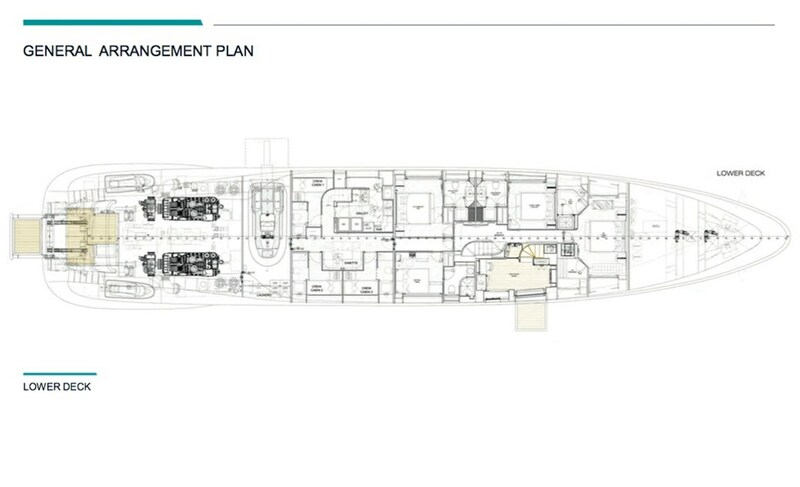 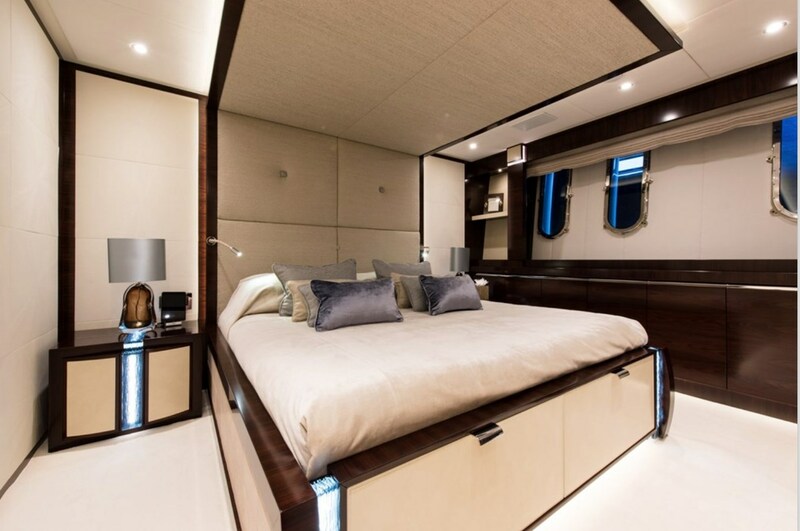 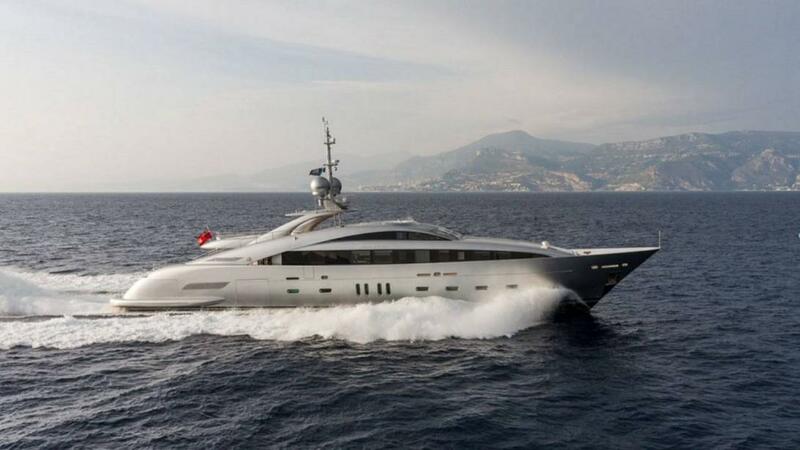 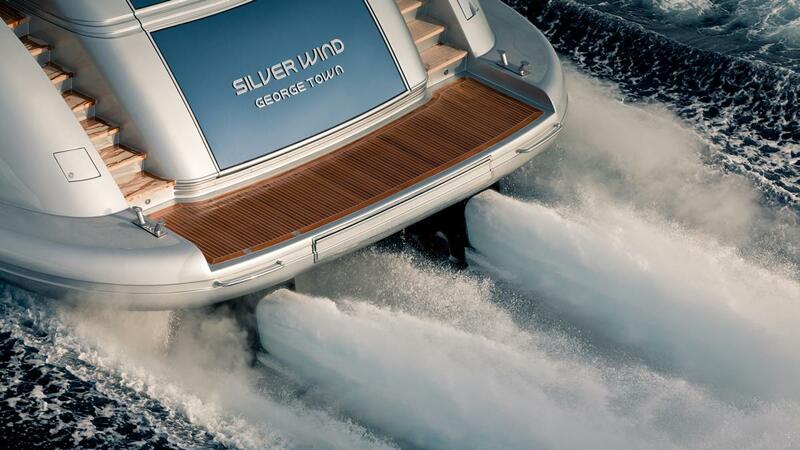 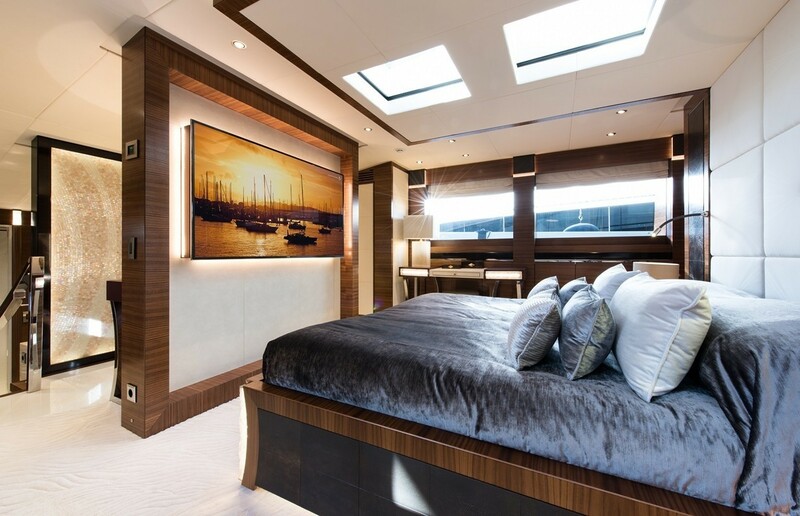 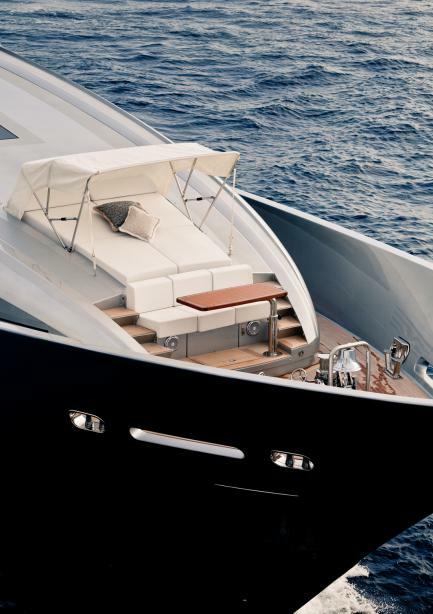 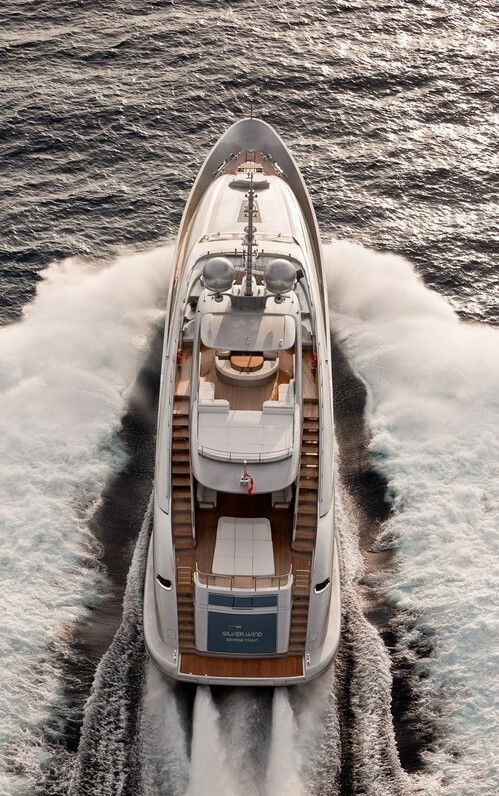 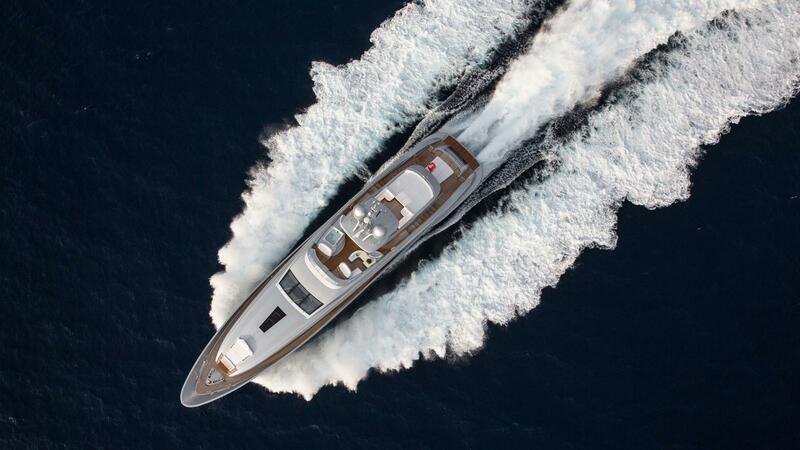 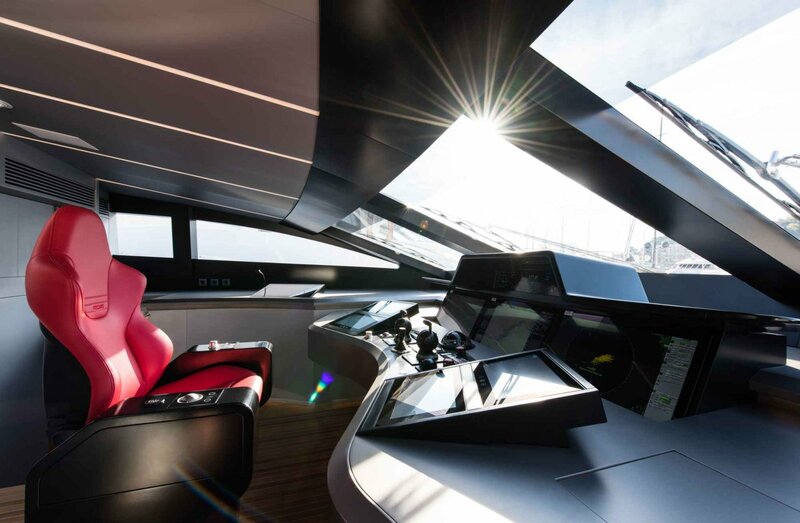 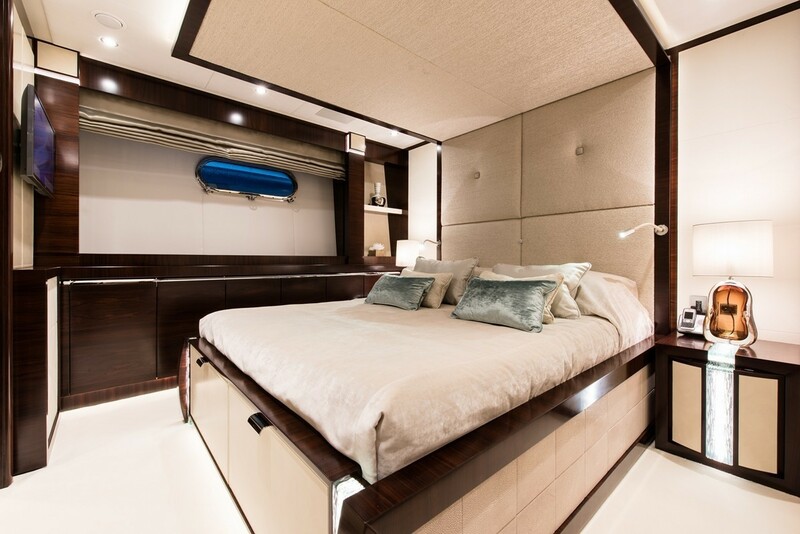 Luxury yacht Silver Wind (hull 140.1) can be powered by a “traditional” propulsion system, consisting of two marine diesel engines driving two Rolls-Royce Kamewa waterjets through reduction gear-boxes, which permit the yacht to run at the top speed of 32 knots and a cruising speed of 26 knots. 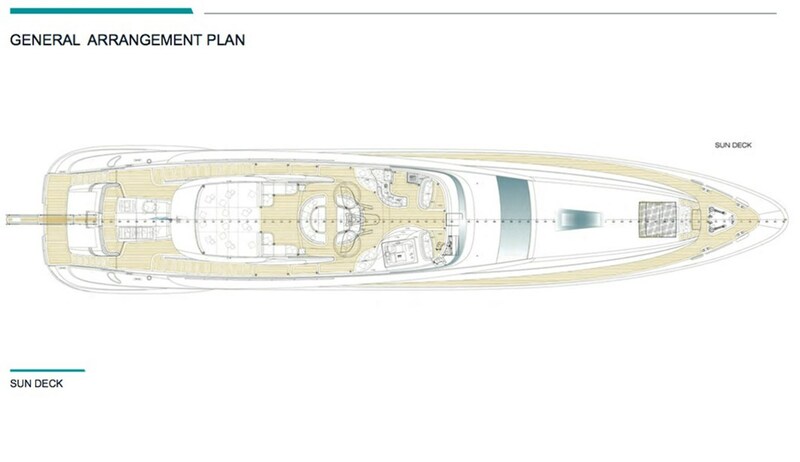 Also, she is also equipped with a hybrid propulsion system. 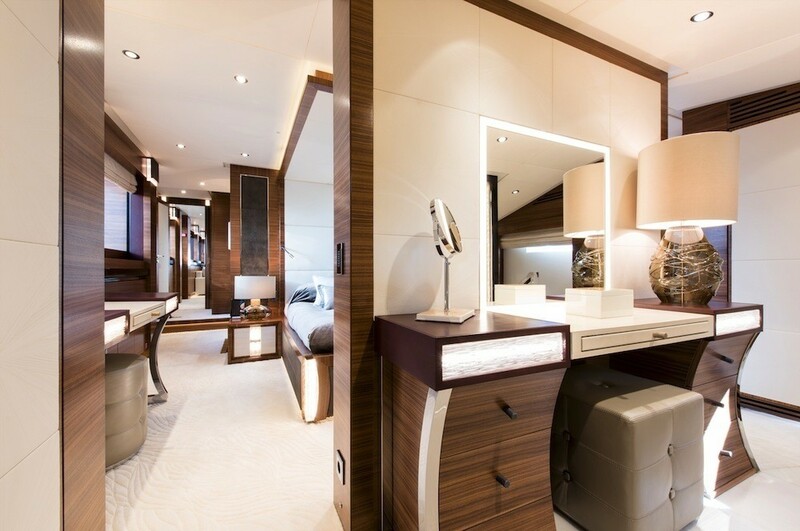 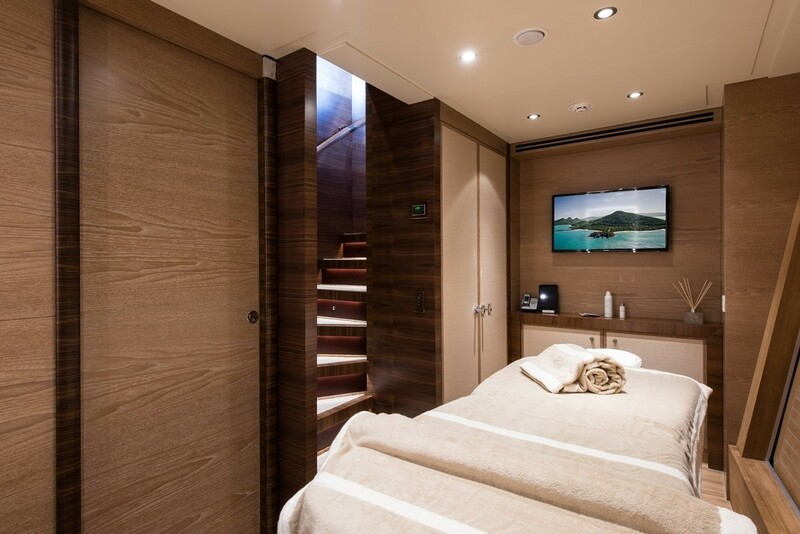 A total number of 8 guests can be comfortably accommodated aboard Silver Wind superyacht, providing 4 well appointed cabins. 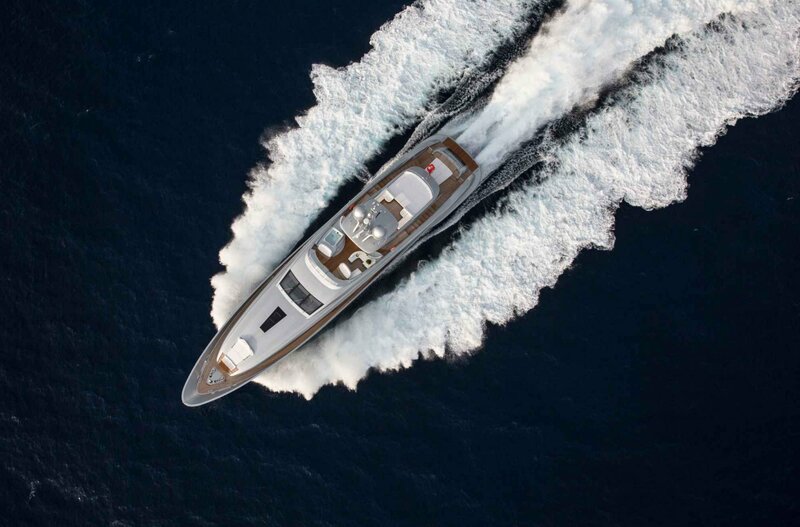 We do have available further amenity, owner and price information for the 43.63m (143' 2") yacht SILVER WIND, so please enquire for more information.